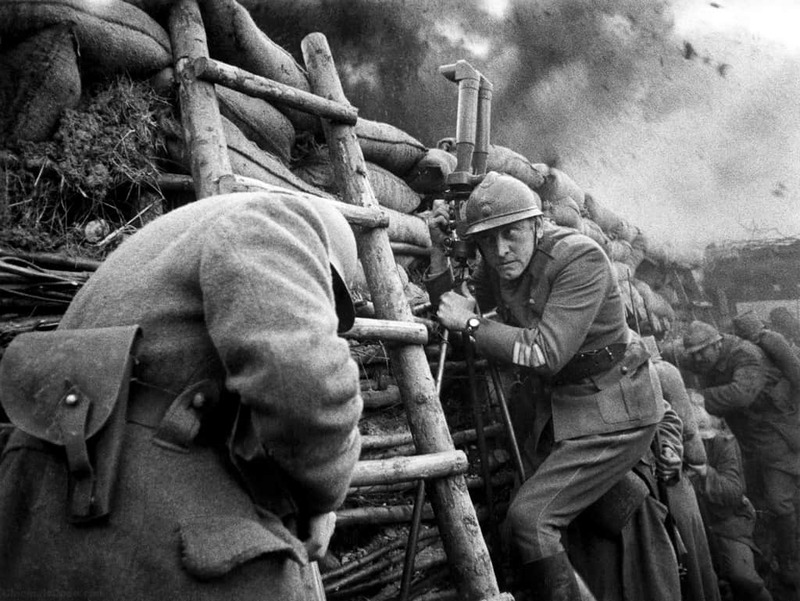 This Memorial Day weekend watch Kubrick's "Paths of Glory"
If you plant enough bodies in the ground, holidays sprout. That, at least, is the story of Memorial Day. More American blood was shed in the U.S. Civil War than any war prior (or since), and by the late 1860s it became customary in many American cities to hold springtime tributes to the soldiers who lost their lives. It wasn’t until World War I, though — the war that killed the next most Americans to that point — when Memorial Day, then still referred to as Decoration Day, blossomed into a commemoration of all American soldiers who had lost their lives in battle. For me, Memorial Day typically means trips upstate with my family to barbecue and go fishing. I’ve had the great privilege to live a life at such remove from war that I’ve never even had to consider serving. That doesn’t change this year, even with the most volatile president of the modern era in office. “Paths of Glory,” released in 1957, was Kubrick’s fourth feature film. It’s widely considered the work that marked his arrival as a great American director. Though it’s shot in black-and-white and some of the acting now feels stiff and dated, it’s not hard to see why it was revered. Kubrick framed his characters and settings in epic, geometrically precise portraiture. 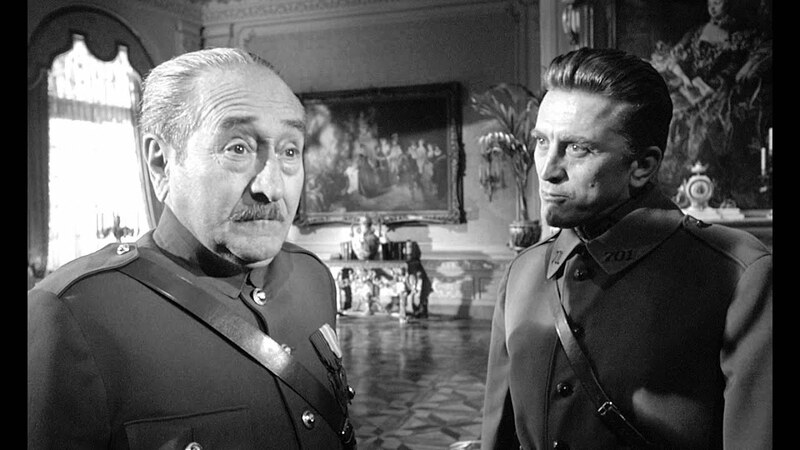 A few of the freeze frames from the film communicate the bulk of the vital information: that Col. Dax (Kirk Douglas) is the hero; that in a battle, he’s put in an impossible position; that his superiors, Gen. Broulard (Adolphe Menjou) and Gen. Mireau (George Macready), are cowardly and entitled; and that, ultimately, the fight Col. Dax must wage is one on behalf of empathy and reason over regiment and convention. As captivating as the cinematography remains, it’s the plot that feels especially relevant today. To fill in the detail between the images: Col. Dax is a commanding officer in the French army during World War I. His men are given what’s essentially a suicide mission with little upside. When they refuse to carry out the attack, they are charged with cowardice by Col. Dax’s superior officers, Gens. Broulard and Mireau. Gen. Mireau wants to sentence all 100 men to death, but when Col. Dax protests, Gen. Broulard reduces that number to three, one from each company. When the three men are court-martialed, they’re not given a fair trial, and (spoiler) they wind up being killed by a firing squad of their fellow soldiers. At its core, the story is about bravery in the face of malevolent or misguided authority. Kubrick contends that real bravery is not blindly following misguided orders of superiors but standing up for the rights of inferiors in the face of injustice. The moral is that if you don’t stand up for what’s right now, you’ll be the next wronged. One of the more interesting choices Kubrick made is following the French rather than the American army. The simple explanation is that Kubrick was being faithful to the text he was adapting, Humphrey Cobb’s novel by the same name. However, that none of the actors speak in French accents suggests that Kubrick wanted Americans to see themselves in the story while divorcing themselves from the politics. 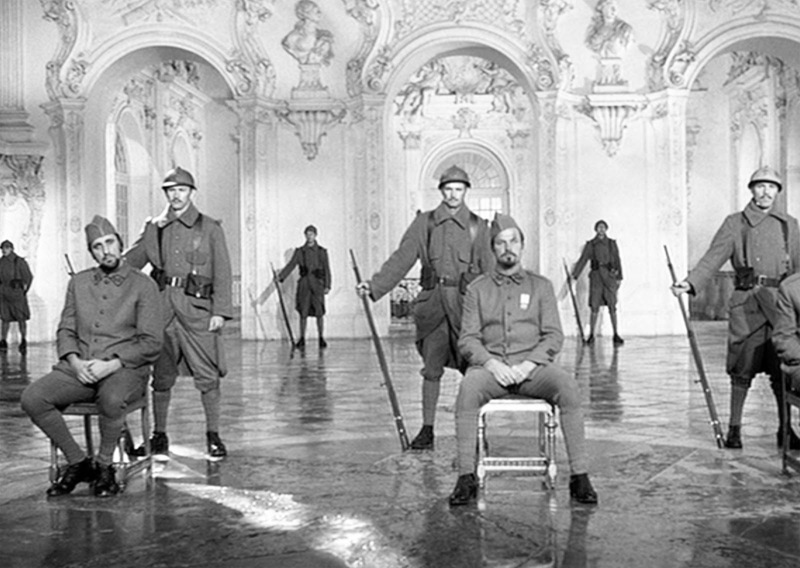 In 1959, two years after the film’s release, Kubrick would reflect that "one of the attractions of a war or crime story is that it provides an almost unique opportunity to contrast an individual or our contemporary society with a solid framework of accepted value, which the audience becomes fully aware of, and which can be used as a counterpoint to a human, individual, emotional situation.” His point: When framed in the context of war or crime, right and wrong become clear, and that framework can be applied to contemporary society. 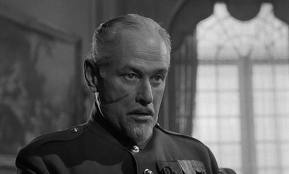 When you watch “Paths of Glory” today, the parallels and lessons become obvious. You see all of the the contemporary congressmen who acquiesce to corrupt authority in all of the film’s officers who acquiesce to corrupt authority. Now, this, of course, is a weekend for celebrating the men and women who have served. And I’m not in the position to stipulate what it means to really honor those men and women. However, I will say that I agree with Kubrick: Reflecting on war stories is a great way to frame what’s right and wrong.